A Boy. A Girl. A Dream. (recommended): This single-shot film is a mesmerizing and thought-provoking look at the night of the 2016 presidential election through the eyes of two people whose lives are going to keep going no matter what happens – a very interesting and unique interpretation of a relationship in the context of current events. Now playing at AMC Empire and Regal Union Square. Read my review from Sundance. 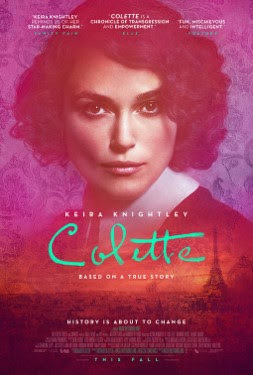 Colette (highly recommended): Keira Knightley is superb as the title character in this film about a talented writer whose great works are overshadowed by her husband’s ego. It might feel like a familiar story, but it has a decidedly fresh and invigorating touch. Now playing at the Angelika and the Paris Theatre. Read my review from Sundance. Fahrenheit 11/9 (recommended): Michael Moore’s latest is exactly what you’d expect from the incendiary and incisive documentary filmmaker, a look at how Trump’s election came about as a result of flaws all throughout America and an occasionally-focused examination of what’s next for our country. Intriguing and cutting-edge if nothing else. Now playing in wide release. Read my review from Thursday. I Think We're Alone Now (recommended): Peter Dinklage and Elle Fanning star in a post-apocalyptic drama from “The Handmaid’s Tale” director Reed Morano that’s slower and more contemplative than other dystopias but still manages to be effective and worthwhile. Now playing in limited release. Read my review from Sundance. The Last Suit This Argentinean story of a Holocaust survivor who decides to return to Poland to deliver a suit he made to the man who saved his life decades earlier is a warm, entertaining story filled with great performances and enjoyable moments. Now playing at AMC Lincoln Square and Village East Cinema. Read my review from yesterday. Lizzie (mixed bag): This true-crime drama set over a century ago presents the brutal murder of a wealthy Massachusetts couple and mulls around trying to figure out whether their daughter, played by Chloe Sevigny, or their maid, played by Kristen Stewart, was responsible. It’s interesting but gets lost in its own winding journey. Now playing at the Landmark 57 West, AMC Kips Bay, and the Angelika. Read my review from Sundance. Science Fair (recommended): This documentary about intelligent kids competing to win a major prize to honor their scientific achievements is a welcome and refreshing showcase of positive inspiration that drives innovators to succeed. It’s both cool and entertaining. Now playing at the Landmark at 57 West. Read my review from Wednesday. 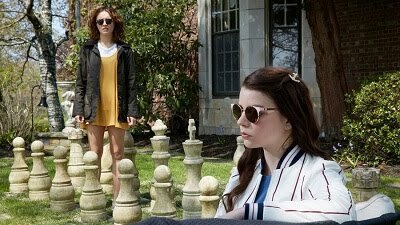 Beast (mixed bag): There’s a lot whole of intrigue to be found in this dark, dreary tale of a young woman who falls in love with a mystery man believed to be a mass murderer. Lead actress Jessie Buckley is great, but this film is off-putting and far from pointed in the slow burn to its conclusion. Damsel (anti-recommended): I really did not care for what initially seemed like a creative western starring Robert Pattinson and Mia Wasikowska but quickly devolved into something ridiculous. The actors are good but this movie just isn’t worth it. 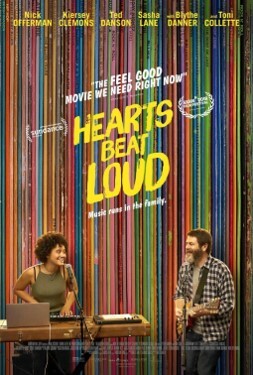 Hearts Beat Loud (highly recommended): Nick Offerman and Kiersey Clemons are both wonderful as a father-daughter duo who start a band as they shutter a Brooklyn record store that’s well past its prime. It’s an endearing story with some great music to boot. Click (mixed bag): I know a lot of people have a soft spot for some of the sentimentality in this 2006 Adam Sandler comedy, but I didn’t buy a lot of what I felt what as an unfunny, extended advertisement for Bed, Bath, and Beyond. The Endless (mixed bag): This psychological thriller about two brothers who previously escaped a UFO death cult doesn’t exactly know where it’s going, an idea that might be appealing at first but ends up being unfulfilling. Role Models (recommended): I honestly couldn’t remember anything about this comedy starring Paul Rudd and Seann William Scott, but my Minute with Abe from ten years ago tells me that I liked it much more than I expected – a raunchy and entertaining film from David Wain.